Automated patient reminders for appointments and more. Patient appointment reminder software that saves time and money. Automated appointment reminders are the quickest and easiest way to cut back on no-shows and connect with patients. One single no-show a day can cost your practice anywhere from $40,000 to $100,000 per provider in annual revenue. Medical appointment reminders can soothe this pain—while making patients happier. 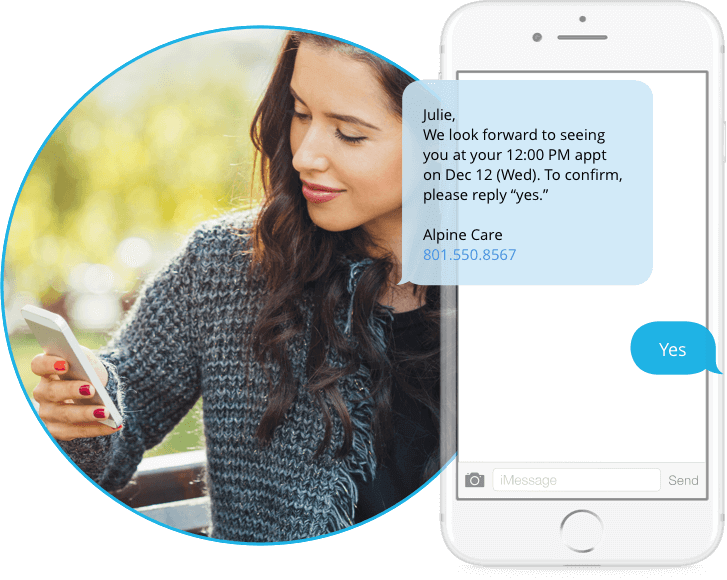 Over 80 percent of patients preferring text message reminders. Patients can easily confirm or cancel and reschedule. Trust us on this one—we’ve been doing reminders for almost 20 years! 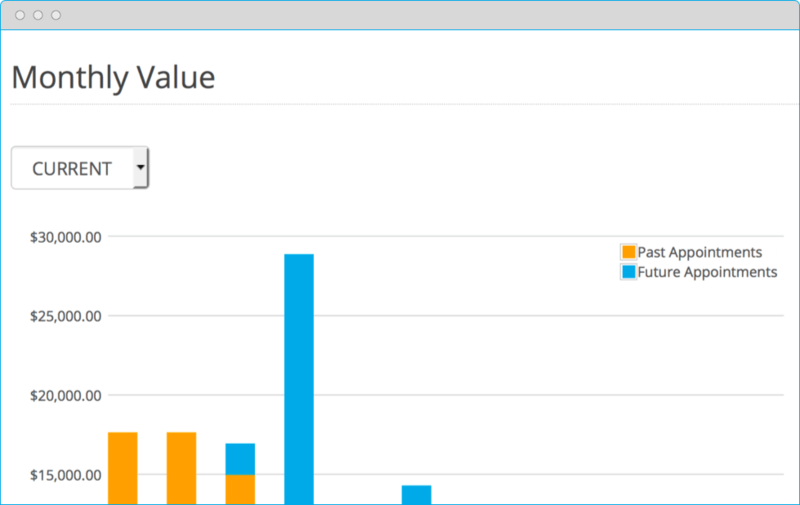 Want to learn more about appointment reminders and no-show rates? Check out some of our most popular blog posts, articles, or white papers. While not every no-show can be eliminated, there are effective ways to reduce them, increase your office efficiently, and make things more convenient for your patients. How do you create a no-show policy that will encourage patients to show up without scaring them off? Understand your options when it comes to no-show policies in this post. 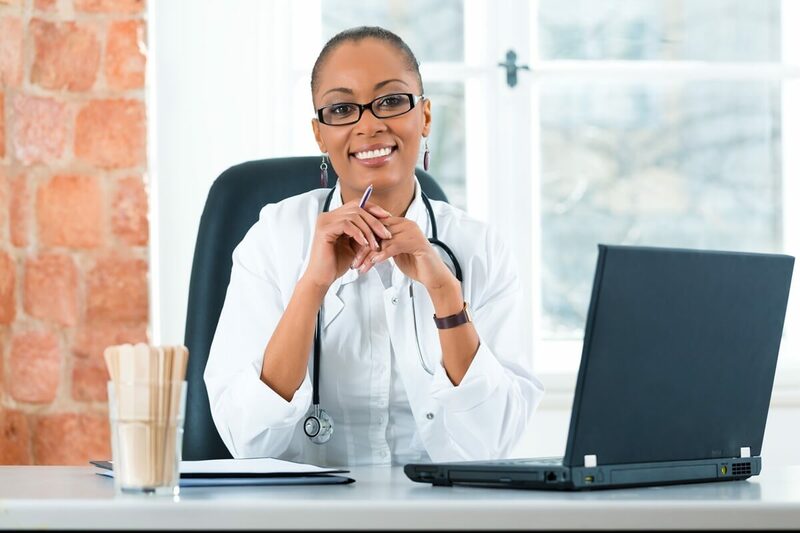 Have you ever wondered what the national average no-show rate is for your specialty? Or what your no-show rate is in comparison? 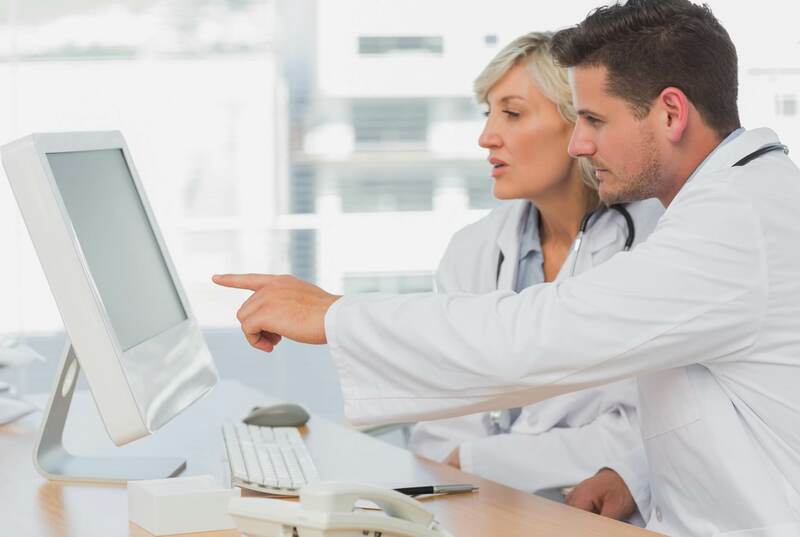 The Solutionreach Platform is designed to give you the most functionality possible when it comes to communicating and engaging with your patients, while also helping you stay compliant with communication rules and regulations. With the HIPAA consent tool, you can text a patient asking them to reply “consent” to receive personal health information (PHI). Their account is then labeled as HIPAA consented, so you can exchange PHI in the future without worry. More than two-thirds of patients want to text with their healthcare provider. Don’t believe it? Well we’ve done the research to back that up. We sent the first text in healthcare, and no one knows texting better than us. 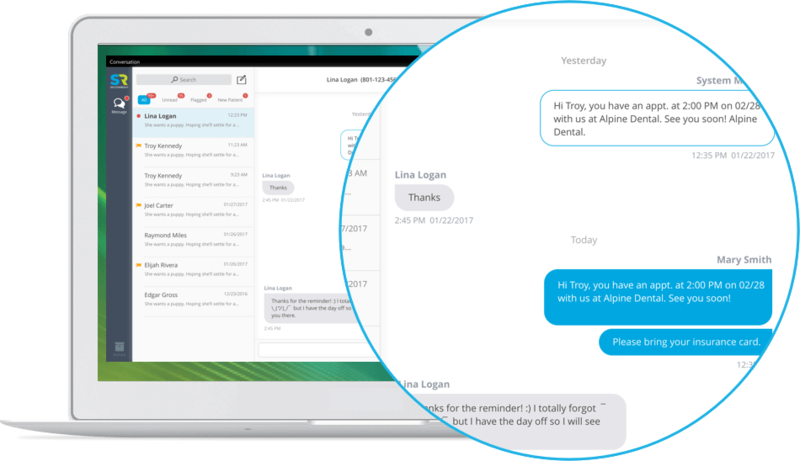 SR Conversations allows you to provide real-time, two-way text messaging with patients. 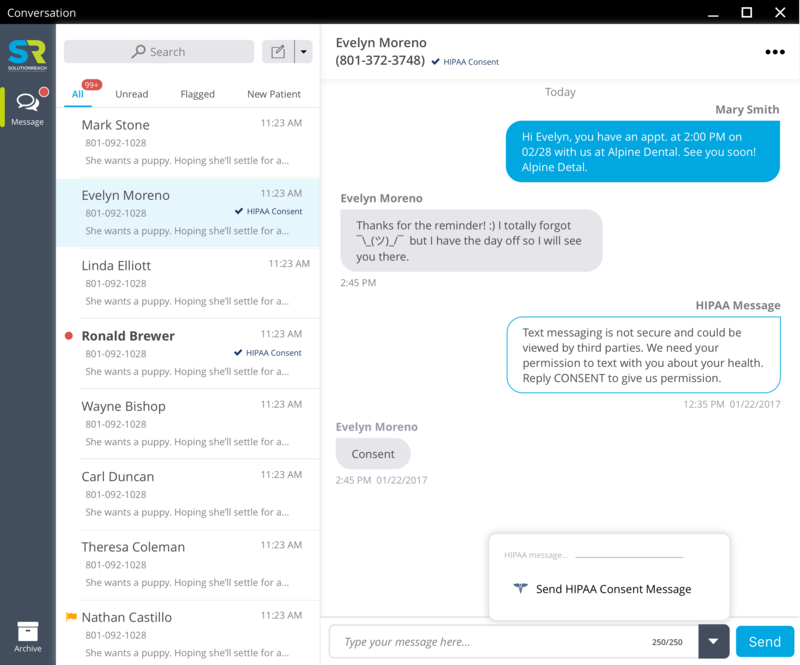 You can text-enable your landline, both your practice and your patients can initiate text messages, and you can easily see the complete message history and prioritize messages for follow up. The iOS app gives you the flexibility to text patients from wherever you are and a convenient HIPAA consent tool makes it simple to keep conversations going while staying compliant. Ninety-five percent of millennials say they want to receive text message appointment reminders and other texts from your office. It is so much easier to keep the patients you have than to try to get new ones. Flexible, customizable, Automated Recall Reminders from Solutionreach make it happen. Keep your schedule full and get patients back in for needed preventive care and follow-up care. No wonder practices using Solutionreach increase recall revenue by about $100,000 a year per provider. They’ve improved recall bookings with Solutionreach automated patient messages. 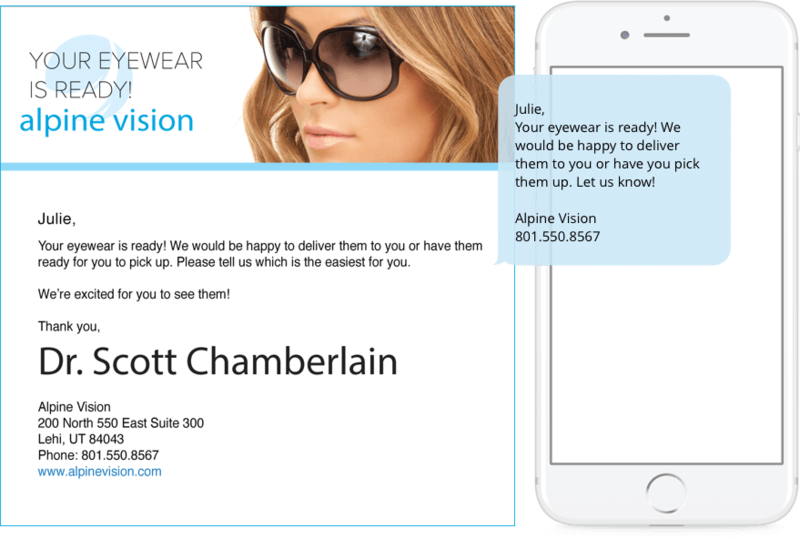 Solutionreach can help you send those patients a quick message to reduce delays for product pickups, and they’ll appreciate the outreach. You’ll appreciate not having to manually make the notifications. It’s win-win. 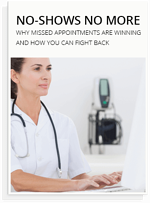 Appointment reminders are a must-have in making sure patients show up. Nearly one in three no-shows happens just because the patient forgot. Reminders put the kibosh on that. In these quick videos, we'll share research-based best practices that will help you keep that schedule full. Want to learn more about appointment reminders for your office? Here are some of our most popular blog posts, articles, and white papers. It’s pointless to spend the time sending reminders if your patients won’t see them or if they don’t give enough information to be helpful. Here are three elements to include in your appointment reminders to make sure they have the desired effect. 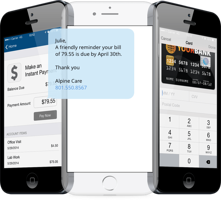 Sending the reminders through multiple channels and including details help ensure that your patients are getting the reminder with all of the right information. But once you have that down, there are a few other things to think about that can help take your appointment reminders to the next level. How can you take advantage of the benefits appointment reminders can give you? Start by using the following guidelines and then tweaking them to fit your personal practice. Sounds great, right? Find out how to make it a reality.